I understand that clouds can be made out of water droplets or ice crystals. And that fog is nothing else than low-lying clouds. However, I've experienced fog in a wide ranges of temperatures. I like mountaineering and you often get fog high in the mountains. I've been lucky enough to visit the high mountains of Antarctica and I've also experienced fog there at very low temperatures. This answer (in the comments) and the fog wikipedia article mention that ice fog happens only at extremely low temperatures (-35 or -40 C). But I think I've experienced fog at those temperatures too. Some times, with the right light I've seen the air filled with tiny crystals, but I wouldn't call that "fog", because it is very thin. Then, as far as I can tell, all thick fogs/clouds feel and look the same. No matter if they are made out of ice crystals or water droplets. Is that right? Or is there a way to differentiate between ice/water fogs? Or maybe contrary to what I think, I've never experienced frozen fog. But, would I notice the difference if I were to ever experience it? How would they feel/look different? Other sources, like the UK meteorological office say that water always remain in liquid state in fog, no matter how low the temperature is. Is that true? Is it true for clouds too? In that case there would be no such thing as "ice clouds". So I wonder what's the experience of pilots, as they go through clouds?. When they do so, they know also the external air temperature, which is a plus. 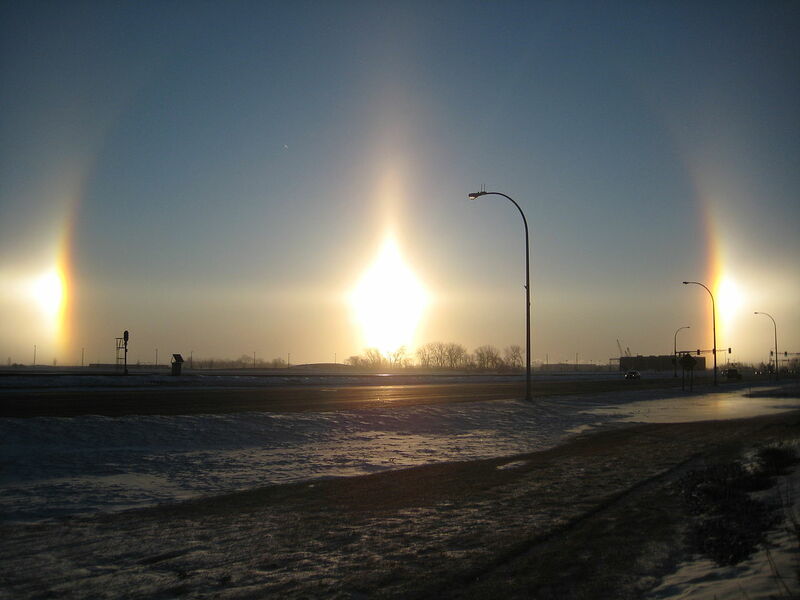 Do they see sun dogs or other optical phenomena that differentiate water from ice clouds? The same powerpoint also discusses that satellite imagery can be used to see ice crystals. A lot of planes even small stuff have the ability to receive feeds of this data which can be used to identify sections of ice crystals in flight. According to various sources the threat is particularly dangerous due to the fact that there is no hard and vast way to visually identify the crystals and in many cases the effects are similar to other events and may lead the pilot to belive something else is happening. For pilots we can only go by look, unless you are flying slow in a 172 you cant exactly pop the window open at altitude and feel the cloud. Simply put pilots can not reasonably tell if a cloud is vapor or crystal prior to flying into it and observing the above noted actions. The telltale sign is observation of ice buildup as supercooled water droplets strike and freeze onto leading edge surfaces. The probability of this happening increases as one approaches + 32 F (or 0 C), and decreases in colder air ( - 15 C). Freezing rain (rain falling from a warmer layer of air into a freezing layer of air) will also cause ice build up. Yes, it can rain 10 degrees below freezing. In doing a pre-flight weather check, one can only determine probabilities, as weather (fronts, freeze lines, precipitation) cannot be pin pointed to the nearest mile and are always changing. However, certain weather patterns such as warm fronts overriding cold air, relative humidity, and near freezing temperatures do provide vital clues. One would build in a safety margin and avoid if at all possible. Unfortunately, it is very difficult to tell exactly what is in a cloud until the ice actually starts to form. Vertical air currents could melt, supercool, and refreeze the same drop of water and a plane flying at the same altitude could experience a variety of "weather" as it passes through. Under these conditions constant observation is a must, as well as a "Plan B" to get out of there if icing compromises safety. Not the answer you're looking for? Browse other questions tagged meteorology or ask your own question.